Saving you time to focus on growing your business while helping you delight your customers. IDS provides complex e-commerce fulfillment and multi-channel order fulfillment solutions for B2B and D2C shippers. On-time, accurate and cost effective services supporting numerous verticals up to and including apparel, food, nutraceuticals, consumer electronics and medical devices in ambient or temp controlled DC’s. Regulated food-grade and FDA GMP dry and temp controlled fulfillment warehouses located in Indianapolis and Salt Lake City ensure a clean, safe environment for every industry needing B2B/D2C order fulfillment. Pick and pack, display building, kitting and assembly; customized to retail shippers’ final mile requirements. 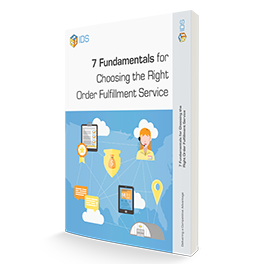 Omni Channel Order Fulfillment Solutions designed for Direct to Consumer, B2B, Ecommerce, and the Subscription Box Companies. Shipping zones are extremely important. Faster delivery equals improved customer satisfaction and lower shipping costs. Wether you need east or west coast fulfillment or global order fulfillment; IDS has the order fulfillment solutions you need. 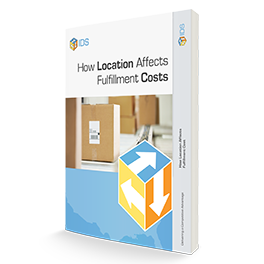 Fulfillment Center location affects a lot more than just shipping costs. 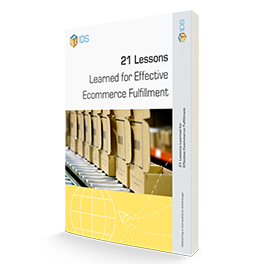 Learn the total impact in this eBook. In this eBook we give you the no nonsense, nuts and bolts list you need to make your online business succeed.